Start your Halloween week with a haunted house or bloody dance show, check out the power of wax at the World Beard and Moustache Championships, and hear 'Wild' author Cheryl Strayed speak about the film adaptation of her life. Who let the ghouls out? All Hallows' Eve is merely a week away, which means Portland's ghostly season is already in full swing. The next week offers a long list of costumed excitement, plus a cornucopia of monster, murder, and mayhem-themed performances. 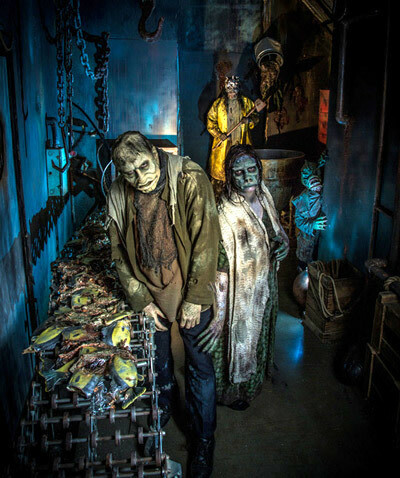 Check out our Halloween Guide for haunted houses, corn mazes, zombie-ravaged plays, and freaky dance parties. Want something that won't scare the kids (too much)? Head for our Family-Friendly Halloween Happenings. Centered in a fast-paced Chinese take-out restaurant, German playwright Roland Schimmelpfennig's acclaimed production The Golden Dragon explores the marginalized plight of Asian immigrants in the Western world. Produced by local theater upstart Boom Arts and Seattle's Azeotrope Theatre, the performance will also feature beer and noodles to fuel the talkbalk. Read our story about Boom Arts' dynamic new approach to international theater. This Halloween show from the always imaginative Shaking the Tree theater company reimagines the tales of Edgar Allan Poe through a performance in which audience members are the invited guests of a prince who entertains them while a deadly plague rages outside the castle walls. Peter Sinn Nachtrieb’s comedy details the life and times of Bob: born in the bathroom of a Louisville, Kentucky, White Castle restaurant and traveling throughout the country in a lifelong pursuit of greatness. "Thanks to charismatic ensemble performances and gleeful direction from Matthew Zrebski, Bob mostly transcends its overladen, under-imagined structure, particularly in the first three acts. True greatness remains elusive, but as a vehicle through a landscape of American exceptionalism, Bob offers a pretty wild ride..." Read our full review. 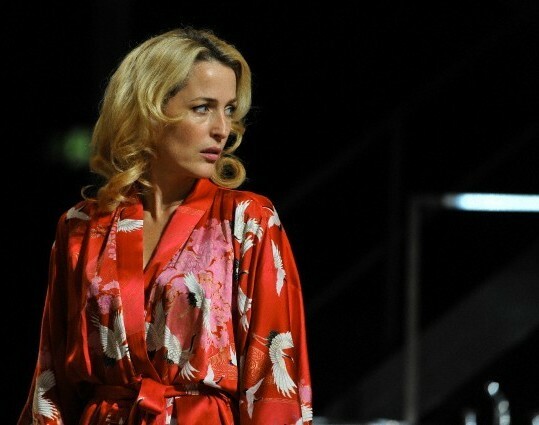 Directed by Benedict Andrews and starring Gillian Anderson (The X-Files, The Fall), Tennessee Williams' widely celebrated work A Streetcar Named Desire received rave reviews at London's Young Vic theatre from from critics across the world. The Observer lauded Andrews' direction: "it steams off the stage with pain, excitement and clamour." The Sunday Times hailed, "Gillian Anderson’s Blanche is a tragic delight." Well, no longer do you have to travel across the pond to see Andrews' performance because National Theatre Live is bringing the Young Vic stage to Portland, streaming performances of A Streetcar Named Desire at the World Trade Center Theatre. Check out more world-class shows that you can catch from the comfort of Portland cinemas (hello, James Franco...). 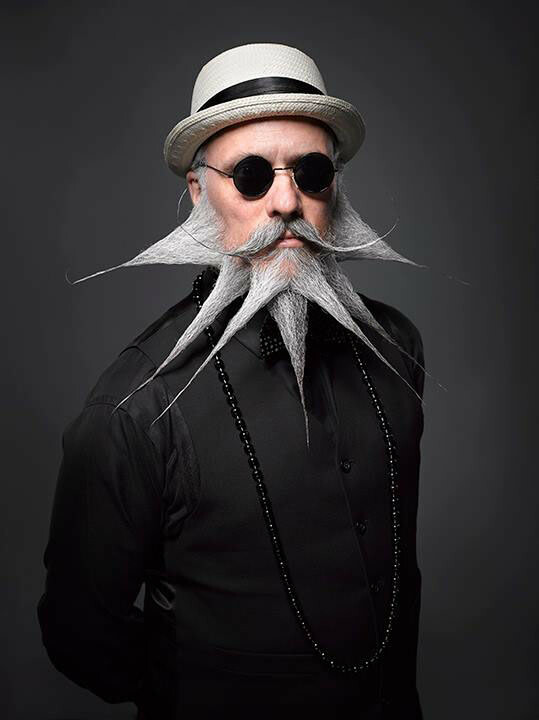 Believe it or not, this international facial hair competition doesn’t take place in Portland every year, so you’d better check it out while it’s here—next year you’ll have to fly to Austria (that is, if you're not caught up in the politics of world bearding and boycotting the Portland Championships, like the Germans are...). If you’ve ever thought someone should make a movie of your life, Cheryl Strayed might have some insight: in this installment of Oregon Humanities’ happy hour series, the best-selling author of Wild will discuss what it’s like to have your private life become public, ahead of the December release of the film adaptation of her book, which stars Reese Witherspoon. The event is sold out, but they will be selling a limited amount of tickets at the door and streaming the event live. Did you know that America’s favorite zany science educator is coming to Portland this month? Well, now you know. 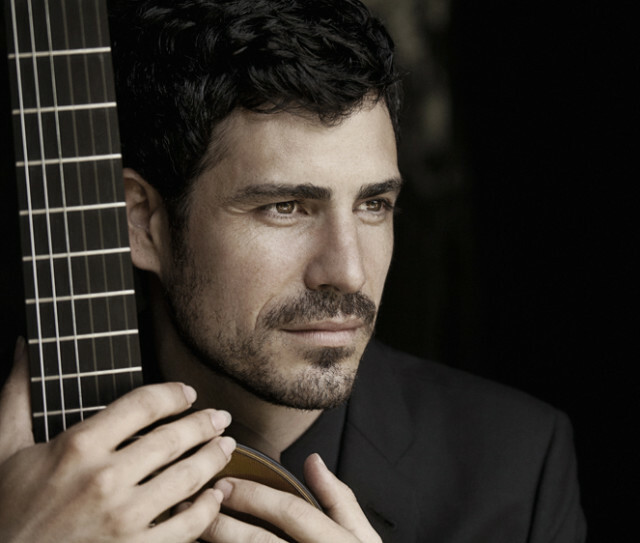 The youngest guitarist to perform with the New York Philharmonic and the only one to win Spain's prestigious "El Ojo Crítico" classical award, Pablo Sáinz Villegas is one of the hottest guitarists touring today (and we're not referring to his soap-opera good looks). Here, he'll perform Joaquín Rodrigo's celebrated Concierto de Aranjuez. Founded in 1913, the Salzburg Marionette Theatre still uses the puppetry technique its founder invented 101 years ago, the same year Debussy wrote The Toy Box. The theater will bring the ballet to life tonight with the help of the vituoso Weiss, whom Portlanders know for his other regular collaboration: with his pianist wife, Anna Polonsky, for four-hand performances at Chamber Music Northwest. Every fall, NWDP brings three new works to the stage. This year they're choreographed by Portlander Minh Tran; China native and New York City resident Yin Yue; and Czech Jiri Pokorny, who debuts his first work ever in the US. For her evening-length choreographic debut, one of Portland's most exciting young dancers, Allie Hankins, creates a solo work she's calling a "correspondence" with the infamous Ballet Russes dancer Vaslav Nijinsky, titled "Like A Sun That Pours Forth Light But Never Warmth." In it, she creates an amalgamation of herself and the notoriously troubled dancer. Expect glittering gold body paint.